The SSRMAN-1LP 4-20 mA Solid State Relay driver provides 0-100% PWM of any standard SSR. The PWM cycle time of the time proportioning is 350mS at the center but gets longer toward the end of the range to optimize the resolution of the output of the 4-20 solid state relay system. The calibration of the time proportioning converter can be adjusted by ordering option -ZS (zero and span pots). 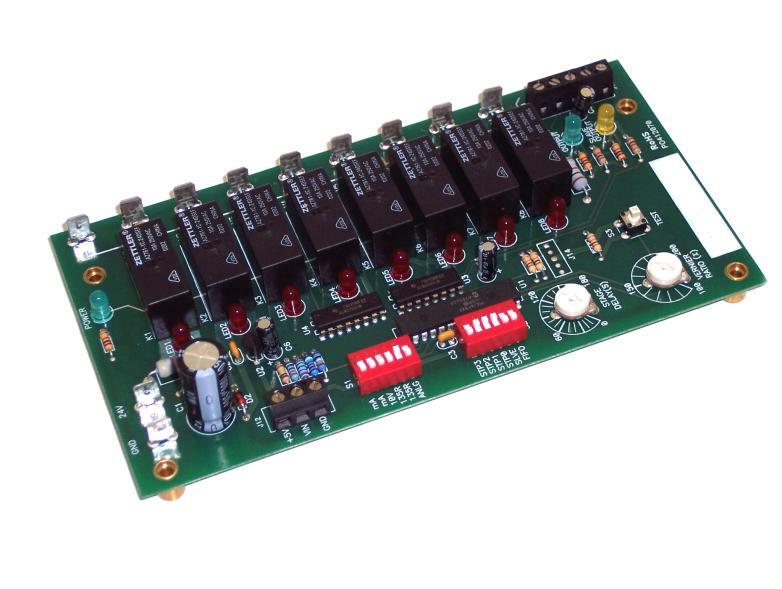 The SSRMAN-1LP can drive up to 4.2V @ 14mA offering a high performance, low cost solution to 4-20mA SSR systems. The Staging Control with Verneir – NWVS is a step controller that provides modulation in multi-stage applications such as duct heaters. The built in 0-10V Vernier stage output allows for smooth, precision control of the load. When the verneir output is connected to an SSR or Phase Angle Controller – SSRMAN-1P it will increase the precison of the heat control without reducing the life of the system contactors. The unit’s LEDs show the power and output status of all of the stages including the vernier output.